Despite its unusual tart flavor, kefir milk can be a healthy substitute or addition to many recipes. Its uses span all meals and snacks ranging from baking bread for breakfast to a quick afternoon smoothie snack. Kefir milk, in either its sweet or tart form, can replace yogurt or milk in most recipes. 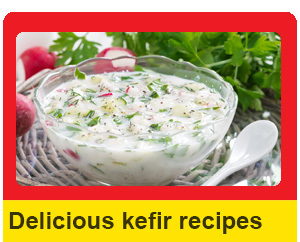 Amounts may need to be adjusted due to the liquid form of kefir and the active yeast inside. Cooking with kefir (or yogurt) is nice, just remember if you heat it, you’re killing all its wonderful prebiotic and probiotic qualities! You get those from the fresh kefir. Raw milk is best for making kefir too, if you can get it, in that non-homogenized, non-pasteurised is a real food, recognized by the body as such and therefore much healthier than the altered varieties available en masse at the supermarkets. Of course, if you can’t get raw milk, turning it into kefir makes it much healthier! 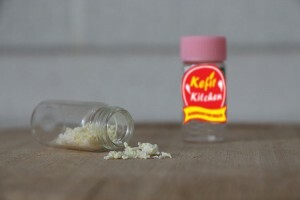 How long does it take for the kefir grains to be delivered to Canada? Hi Peggy, it usually takes two weeks to be delivered to Canada. Best. I have started using my kefir grains that I just recievedMy kefir looks curdled , not milky just overnight. Am I doing something wrong? And the grains are hardly visible when I strain off . Is that normal? 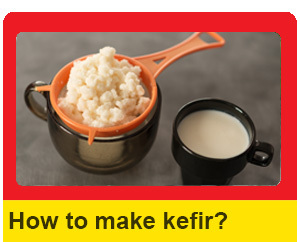 It is said not to use metal materials when making kefir. I only have a metal thermometer instant read. Can I use this to take the temp of the milk before adding the grains? 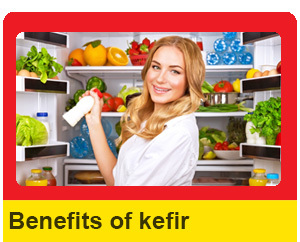 Of course you can drink kefir. Maybe not at the same time but sure you can have it in the same day or hour.